Jimmy Nelson shows vanishing tribes all over the world. His stunning photos are going viral at the moment. Yet another fetish for “the other”? A story told by ONE picture? Of course we are not the first to do this. 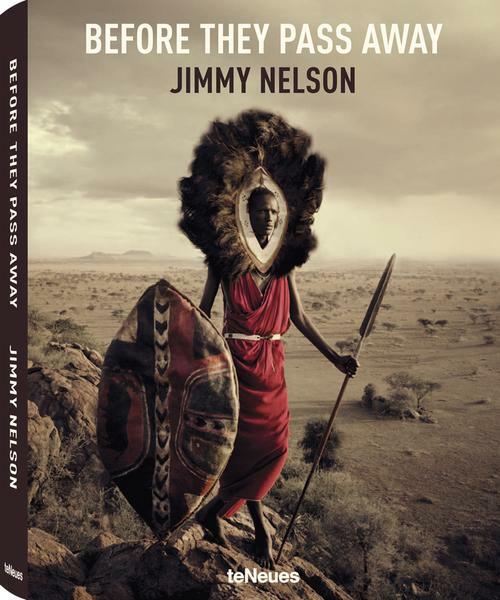 Professional photographer Jimmy Nelson has just collected an “an irreplaceable ethnographic record of a fast disappearing world“. He spent several weeks with different tribes becoming acquainted with their worldviews, customs, traditional clothing and visual representative style, all of which he faboulously captured with his camera. In his book “Before They Pass Away” he tells their stories. Some might say that this fascination with “the other” and all its clichees has reached yet another “sort of final” peak. But being cynical doesn’t change anything. Maybe we should give it a second thought. The fast online distribution of Jimmy Nelson’s photographs represent something far different from a naive old fashioned exoticism. There rather seems to exist a deep and very emotional connection, compassion and even hope in the “going viral” of his work (e.g. via portals like boredpanda.org). Audiences worldwide are touched by the incredible stories his pictures are telling. Despite the fact that they have only been taken very recently, they seem to embody a spirit from the very past. Like a captured “Zeitgeist” his stills remind us of our history, our roots, and our heritage, while, at the same time, offering a breathtaking beauty and a stunning passion for detail. But there is even more to his work. These pictures not only catch our eyes immediatley, they emotionally inform us about an inconvenient truth: these cultures are gone or will be gone soon! And this raises a very political question which is not about the past but about the present. What will we miss if a culture disappears? As anthropologists many of us deal with similar disappearing cultural realities during our everyday fieldwork. Shouldn’t we also give them a voice to speak for themselves? As editors from transformations we want to encourage you to reflect your research experiences and to write about it in a language that non-anthropologists understand as well. Also take the opportunities of digital technologies seriously and integrate multimedia elements into your blog post. Write a fieldnote adding a piece of your artwork or a cartoon. Hand in an audio or video interview. Sort out your most important findings for an analysis. Or send us your pictures. Tell us the stories of the people you are working with! 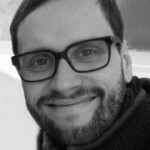 Besides running this blog, I am a German social anthropologist and political scientist doing my Ph.D. at the Universities of Munich and Basel. I’m currently conducting qualitative research on digital transformations of local politics in Munich, Murcia and Tel Aviv. I believe that digital technologies and social media have the potential to transform our political systems. The question is how? To what extent are citizens involved in and affected by those deep societal changes that we call the “digital revolution”. How do we “do” democracy in the digital age? The question for us anthropologists is, I would say, is there such a thing as ‘disappearing culture’. We teach our students not to look at the world and such ‘entities’ as culture in it in an essentialist way, cultures are always in flux, are always changing and always will develop into something new. So, although the photographs are indeed stunning, I’m not so comfortable with talking about ‘disappearing cultures’ as if they are static elements in the world, and especially seeing them as something from the (or our) past. Of course Johannes Fabian’s ‘Time and the Other’ comes to mind here…..the other as not geographical and temporal other through the eyes of the anthropologist. Something happen ! what kind of situations if culture dissapears ? I think culture dissapears just a proverb, now we live at global world and we moved from traditional to modern and leave something crucial aspects from traditional culture and change it with other modern cultures; from face2face to face to screen, and makes a conformation, dealing with another fragment of our lives.